Sports and pastimes are meant to be fun but that doesn't mean to say that you can't work hard at them. Many people enjoy them more if they're getting help becoming a better player or learning new skills. Whether it's for schoolchildren, teenagers, adults, middle-aged or older people, the facilities and help can usually be found somewhere, although you may have to go a long way to find it if the subject is an obscure one. Schoolchildren get access to a great many sports and pastimes and most schools will be able to cover a wide range, from team and athletic sports through to music and dance, although some of these will be better supported at some schools than others. Mainstream sports such as football, netball, rugby, cricket, swimming and athletics will be covered at most schools, but only those with the facilities to teach them will be able to provide training in tennis or golf, for example. If you have a child who shows prowess in a sport that your school can't support, or they can but you feel that extra help will benefit your child, then most sports will have tutors around who will teach privately. Look on school or sport centre noticeboards, or ask at the school initially, and then if you can't find anyone, check out the noticeboards at supermarkets and newsagents, or look in local newspapers and newsletters. If the sport is very niche, then consider looking for adverts in magazines that focus on it, you may not find a tutor but you might find residential courses or holidays that provide training too. Music is a field where private tuition is very common, particularly for children. 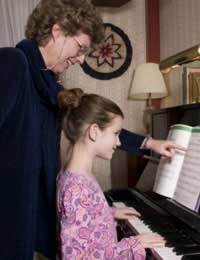 Depending on the instrument in question and its transportability, lessons can be at the tutor's home, the pupil's home, or school. Many schools, particularly at primary level, can teach basic instruments like the recorder, but have to hand over to private tutors when it comes to more difficult instruments. Senior schools are more likely to have the facilities and teachers to take things forward but schools are tending to specialise now, so most parents will want to find out what the local schools support before making a choice for their children. It's not just children though; many adults go to private tutors to learn a new instrument or a sport. It might be for a specific event, such as learning a dance to perform as the first dance at a wedding, or simply picking up a new instrument or trying a new sport, perhaps as time takes its toll on the body and something less active is warranted. Evening classes provided by local and regional councils are often a good source of training. The costs vary but none are horribly expensive and the range is vast, although you may have to travel to get to a specific course, as they are usually spread about among the schools and colleges in the area. Lessons can cover most subjects that are taught in schools, languages, hobbies one can do in the home, playing musical instruments, as well as creative pastimes such as art, pottery and sculpture. They are particularly good for subjects where very few individuals can afford the equipment needed to do them in the home, like metalwork, pottery, welding, classic car restoration and the like. Courses vary from one-offs, often on a Saturday, to introduce a subject, to whole series of courses taking you from beginner to advanced level over a year or more. Look in your local library or on council websites to find out what is on offer in your area.